Thankfully, Andrew Bailey is no longer our closer. He is now some sort of setup man whose prominence in the bullpen has yet to be determined. We completed a six-player trade with the Pirates in order to land Joel Hanrahan. 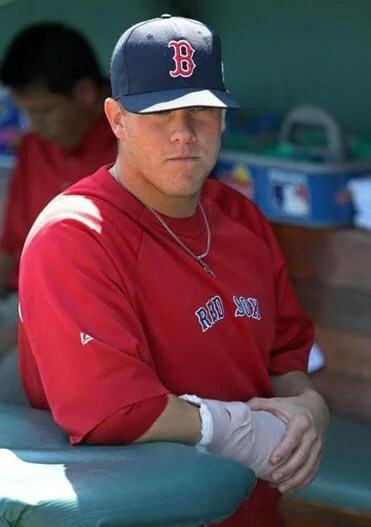 They’re getting Mark Melancon and three prospects (Stolmy Pimentel, Ivan De Jesus, and Jerry Sands), and in addition to Hanrahan we’re getting Brock Holt, an infielder. Hanrahan is a righty whose ERA last season was 2.72; his WHIP was 1.27, and he recorded sixty-seven strikeouts and a total of thirty-six saves with four blown. His lifetime strikeout rate per nine innings is about ten, and he’s been an All-Star more than once. I am absolutely not happy about his walks, which is obviously a significant downside for a closer of all pitchers. He’s also never pitched in Fenway ever, and he’s only been to Boston once. 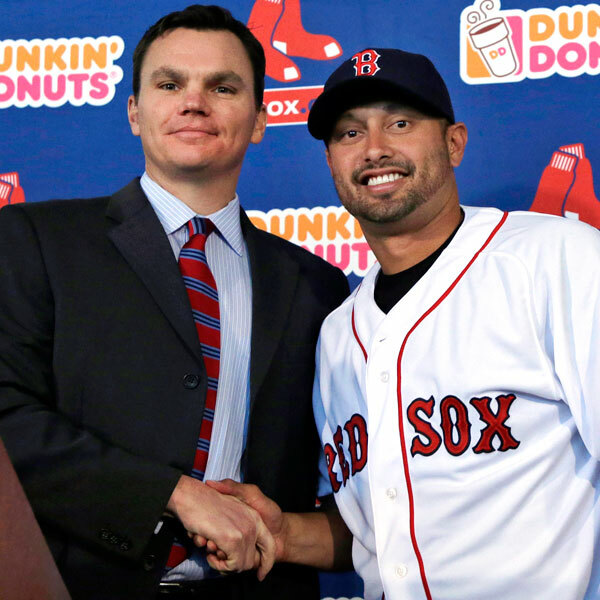 So we’ve got a National League closer who walks and has never pitched in Boston. Still, though, he’s obviously a significant improvement over the alternative. Technically that doesn’t say much, but I have to believe that his stuff will shine through. In other news, the Pats closed out the season with back-to-back wins over the Jaguars, 23-16, and Dolphins, twenty-eight-zip. It’s playoff time! We’ve got a first-round bye, which should provide some extra rest. Finally! By which I mean finally! I repeat: finally! 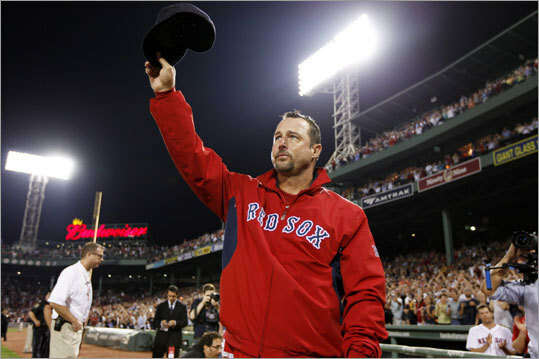 Say hello to the newest member of the two hundred club: Tim Wakefield, ladies and gentlemen! He finally did it! And it was epic! He is now seven and six on the season. But really, that’s not even the point. Only 108 pitches have reached two hundred wins. Only eighty-nine have done so since 1900. Only sixty-nine have done it since 1920. I can’t think of anyone who deserved such a significant milestone more than he did. He is the quintessential team player. He loves it here and has made it clear that he doesn’t want to play anywhere else and that he’ll do whatever it takes to help the team in any way he can. And if that means accepting the fact that he’s in the bullpen now, that’s what he does. If that means making a spot start for an injured pitcher, that’s what he does. If that means finally reaching two hundred wins, then that’s also finally what he does. He finally did it. And it was epic. He gave up five runs on six hits. All five runs were the result of two home runs, a three-runner and a two-runner. He walked two and struck out six. He threw ninety-six pitches, sixty-two of which were strikes. So his knuckleball was obviously good but not great. All in all, a pretty typical night for Wake. Nothing two out of the ordinary. Aceves pitched two scoreless innings in relief, and Junichi Tazawa pitched the ninth and gave up one run. All of that sounds, without the rest of the story, like the game could have ended very badly indeed. How many times have we seen Wake attempt to collect his two hundredth win only to be thwarted by a lack of offense or a lack of quality relief pitching? Way too many times, that’s for sure. The difference this time was that neither of those reared their ugly heads. We scored so many runs that we probably could have spread our total from last night alone over the last five games we lost, won those, and still had some to spare. It was like we took out all of our pent-up frustration from the road trip and concentrated and unleashed it all at once. We hadn’t scored that many runs in a single game since 2009. In the first, the bases were loaded with two out for Reddick. He reached on a throwing error, which brought in two. Wake gave up the three-run home run after that, which required review but stood. In the second, Scutaro singled and scored by a double by Ellsbury, who moved to third on a balk and scored on a sac fly by Pedroia. The Jays scored their last two runs of the game after that. At which point we stole the show completely. In the fourth, Ellsbury and Pedroia smacked back-to-back jacks. Both were hit into the Monster seats. Both were hit on the third pitch of the at-bat after receiving a ball followed by a strike. Ellsbury’s was on a cut fastball away; it was the second homer he’s hit into the Monster seats this year. Pedroia’s was on a hanging slider. Both of them masterful pieces of hitting. Crawford led off the sixth with a double and scored on a single by Salty, who moved to second on a single by Ellsbury. And everyone came home when Pedroia went yard again! He didn’t waste any time with this one. It was on the first pitch of the at-bat, a fastball, to the Monster seats again. We added on another run in the seventh with a single-double combination. And then, the eighth. We sent eleven batters to the plate that inning. And we scored seven runs. Here we go. Ellsbury opened the inning with a four-pitch walk, and Pedroia doubled him to third. Gonzalez singled in Ellsbury, which moved Pedroia to third. At that point, we introduced two pinch-hitters and the Jays made a pitching change. A sac fly brought in another run. Then a single, then the second out of the inning. Then Crawford worked a five-pitch walk to load the bases. Scutaro worked another five-pitch walk to bring in another run, at which point he came out in favor of a pinch-runner. Salty cleared the bases with a double, moved to third on a passed ball, and scored on a single by Ellsbury. There were only two innings during which we did not score: the third and the fifth. The fifth was the only inning during which we went down in order. In total, we left five on base, went six for twelve with runners in scoring position, and scored a whopping eighteen runs on eighteen hits! Eighteen! Now that, my friends, is a slugfest. The starting lineup’s weakest performer was Papi, who doesn’t even count because he left the game in the first due to back spasms. After that it was Youk, who went 0 for 3, and Reddick, who went one for five. Incidentally, Youk is planning to have his second sports hernia surgery, but during the offseason. Until then, he’ll be playing through the pain of that and some bursitis he has in his left hip. What a dirt dog. Salty went two for five with two runs, four RBIs, and a double. Crawford and Gonzalez and Crawford both went two for four; one of Crawford’s hits was a double and one seriously looked like it would have been, could have been, and should have been a home run. Scutaro went two for three and secured his thousandth hit last night. And last but most certainly not least, the top performers. Ellsbury went four for five with a walk, four runs, three RBIs, a double, and a home run; he brought his hitting streak to seventeen games and his hit total to 189, a new single-season career high. And if you thought that that was a top night, Pedroia’s numbers will blow you away. Four runs on five hits with four runs, five RBIs, two doubles, and two home runs for his first multi-homer performance since June 24, 2010. His five hits ties a career high, incidentally also achieved on June 24, 2010. The two of them together reached base nine times last night, and for the first time in club history, we’ve got two active players at twenty-twenty! In other news, it was discovered that Jenks has a pulmonary embolism, a blood clot in an artery in the lungs. He’s being treated and should recover well. I’m very grateful; one, that it’s over with; two, that it was able to happen here at Fenway Park in front of our home crowd. Going outside and seeing the signs and all the people and my teammates came out in support; that says a lot about everything that’s gone on in my career and tonight. I’m kind of speechless when it comes to that, but I’m very grateful that I’ve been able to wear this uniform as long as I have and reach the milestone I thought I’d never reach. Just very grateful. That’s classic Wake right there. You’ve done some amazing things for this city and this team, Wake. For all of that, we salute you. Congratulations! In other news, the Patriots started their season off right by whipping the Dolphins soundly, 38-24. In case someone somewhere thought otherwise, rest assured that Tom Brady is still the man. Let’s do this. It’ll be one week tomorrow since our elimination from the playoffs, and it already feels like forever since baseball season. That’s a bad sign. If it feels like forever after a week, I don’t want to think about how it’s going to feel after a month, or two, or six. The Twins failed us, and that’s all I’m going to say about that. Let’s look back on our season, shall we? We finished second in the Majors in runs scored with 818, sixth in hits with 1,511, first in doubles with 358, second in homers with 211, first in total bases with 2,546, second in RBIs with 782, sixth in batting average with .268, third in on-base percentage with .339, and second in slugging percentage with .451. When you look at it like that, our offense was awesome. Before the season, everyone was worried about where the home runs were going to come from. Well, they came. They came in droves compared to the offensive ineptitude everyone was ready to heap onto us. Beltre was a big part of that, and if you ask me he should be in the discussion for AL MVP. Tito should be Manager of the Year. Done. If he doesn’t get Manager of the Year, something is fundamentally wrong. Let’s do pitching. We were tenth in the Majors in wins with eighty-nine, seventh in saves with forty-four, second in innings pitched with exactly 1,457, ninth in strikeouts with 1,207, and ninth in opponent’s batting average with .253. Unfortunately, our ERA, runs, earned runs, and walks were off the charts. If we got into the playoffs it would have been because of about half the offense and half the staff, namely Lester and Buchholz. We basically spent the entire year playing with and relying on only half our team. Half the staff was trying to carry all of it, and half the order was trying to carry all of it. The bullpen was a mess. And finally, fielding. We were second in the Majors in putouts with 4,371. The rest of our fielding stats were essentially awful. Beltre was as bad in the field as he was good at the plate, and he wasn’t the only one. All of that begs the tough question that encompasses every GM’s universe come the offseason: what do we do to improve? We’re in a very difficult position. After a season finish like ours, the first impulse is to be convinced that what we need is some sort of incredibly massive overhaul. But that’s not necessarily the case, and we should be wary of doing anything rash. We know from that brief but glorious period right before the All-Star Game that Theo’s run prevention theory works. We were well on our way to locking the division before the injuries hit. So we can’t write off that approach so fast, especially since we obviously did end up having good offensive production. Aside from our obvious needs, it’s hard to gauge what’s needed because we never actually got to see the 2010 team in full force for any indicative period of time. So I actually don’t think that there are too many glaring holes that need patching up this winter. One glaring hole we do have is the bullpen. Paps was decidedly subpar, and so were most of our other relievers. We need a middle reliever, and our specialist situation is not clear-cut at the moment. We need to fix that. We need to re-sign V-Mart. That is absolutely non-negotiable. He works very well with the staff, he has improved his arm, and he hits. Do you have any idea how hard it is to find a catcher who hits. And he hits from both sides of the plate. And he destroys southpaws. And he plays first base. V-Mart will be worth every penny the brass offers. The only potential problem there is years. V-Mart wants a long contract, and we don’t like offering long contracts because they damage our flexibility. But I still say he’s integral. We need to retain Big Papi. We’ve got an option on him, and as usual there’s no comment as to whether that’s going to be exercised. 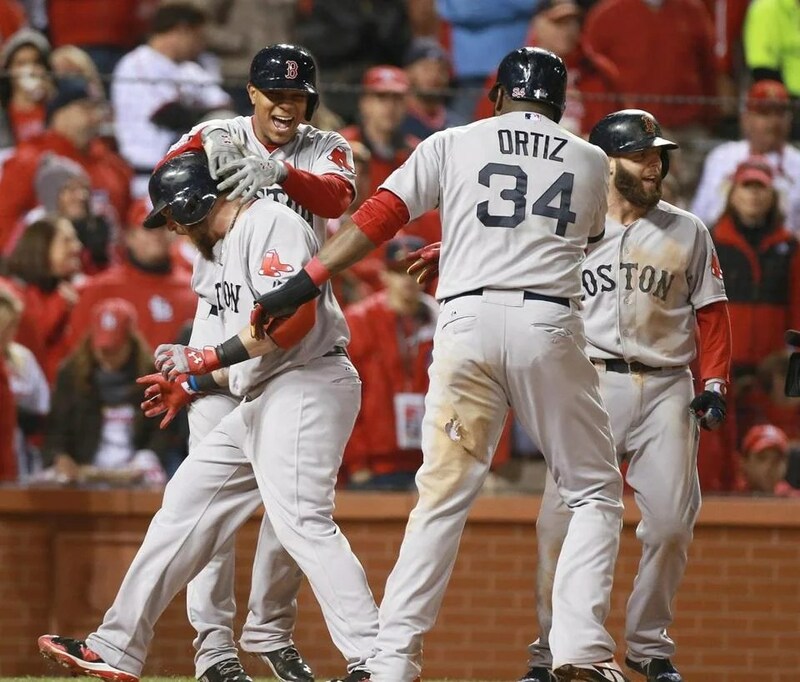 All I know is that Papi was an absolute force this year. When he gets going, it’s hard to stop him, and he’s still got it. Not to mention what he does for the team off the field, which is also important. So between his potent bat and his potent personality, he does great things for this team, and I think it would be a mistake not to bring him back. Beltre is also a free agent. This is a tricky one. Nobody expected him to be as good as he was this year, so he’s going to have decisions to make this winter. There is absolutely no way on this planet that he will exercise his option. No way. It’s not happening. Beltre is going to want some serious coin, perhaps more than we’ll want to offer. We’re going to have to be ready if that’s how it comes to pass. Suppose Beltre signs with someone else. Presumably, Youk will be healthy next year, so we’ll have his bat back to take the place of Beltre’s, and we wait for the other Adrian, Adrian Gonzalez, to become a free agent, we sign him, and we move Youk back to third. Obviously that’s easier said than done, but it’s a viable option and one that the organization has been thinking about. Do I think Beltre would be worth the kind of financial commitment he’s probably looking for? That depends on how much we’re talking. He’s obviously a beast. He’s a great hitter, presumably he’ll eventually be a great fielder as he gets more accustomed to Fenway, and he’s durable, which we learned the hard way this year. He’s so durable that, not only did he stay healthy for the whole year, but he took out others for the season. Lastly, there’s the subtle yet present question of Jason Varitek. Tek will be back next year in a backup role. He has embraced his demotion as a way to help the team in a different way, and he’s happy with that. Everyone needs a backup catcher, and he’s probably the best backup catcher you could possibly find. He’s also a class act; it takes a real man to accept a backup job with a team you love instead of signing for more money with another team that would probably make you a starter. Tek has never played baseball for anyone else, and I suspect he wants to keep it that way. No matter what happens, I think next year will be vastly different from this year, and not only because we’ll be healthy next year. That’s definitely one reason; Pedroia had his surgery when he did so he would be ready to begin his offseason regimen on time. Everyone is committed to making 2011 a turnaround. If you ask me, I think we’re going to have a World Series coming our way. Also because our bench and farm are now one of the best in baseball since they all became starters this year and got regular playing time for a good portion of the season. And new guys like Lackey will be fully acclimated, and we’ll get to see them really live up to their potential. So I’m psyched. In other news, the Pats walked all over the Dolphins last weekend, beating them bad by a score of 41-14. And hockey season has officially begun. We kicked it off in Prague with the Coyotes. We dropped the first game, 5-2, but came roaring back in the second, 3-0. Tyler Seguin scored his first NHL goal, and it was Thomas with the shutout. Then we’re returning to the United States to take on the Devils. This is going to be a great season for us. We’re loaded with young talent, and I think we’re going to go places.